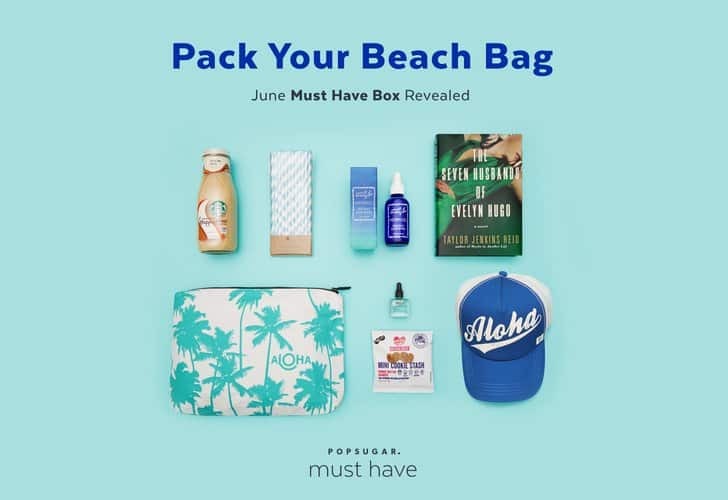 POPSUGAR June Must Have Box and Discount! 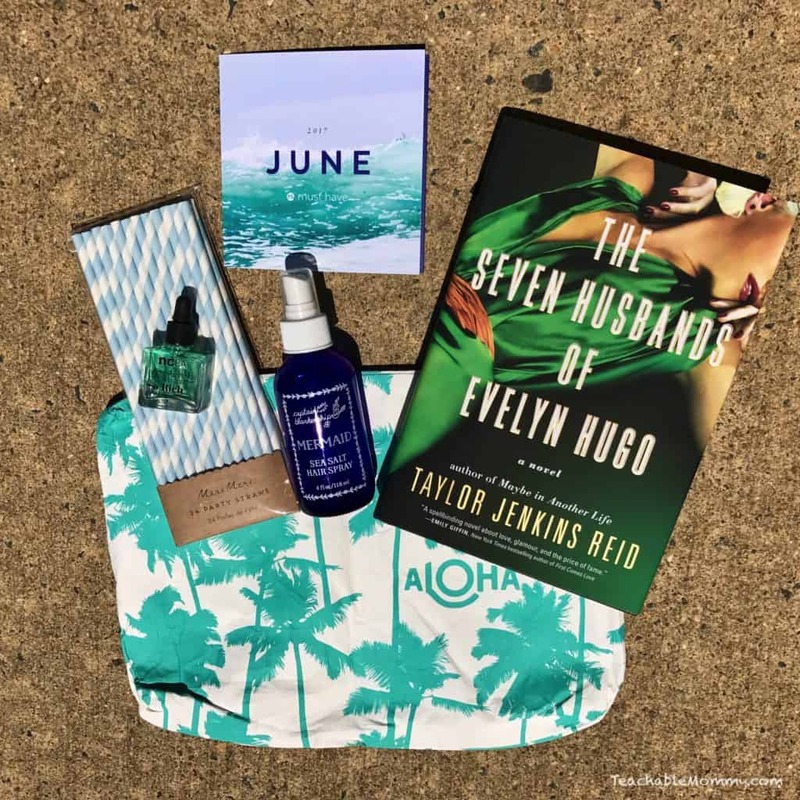 Say Aloha to your Summer fun essentials with the POPSUGAR June Must Have Box! Get $5 off your FIRST Must Have Box using code “SHOP5” click here to get yours! What is the PopSugar Must Have Box? Each month you get a box of goodies valued at over $100 for only $39.95! And these aren’t just random items and tiny samples thrown in a box. The Must Have Box is full of amazing, curated surprises every month. With two options, you get to discover innovative brands and full-sized products across fashion, beauty, home, and more! Not only is the bag bright and fun it is also splash- proof. You can get your valuables dry at the pool or beach or use it to hold other essentials as you run errands. I love this bag! The print just makes me feel like I’m on an island somewhere. Who doesn’t love beach hair? This spray will make all the mermaids and women on land jealous. It is made with organic ingredients that nourish your hair while giving it that fresh from the ocean look. There is nothing better than a juicy book to read while you enjoy the beautiful sunshine. This novel is full of twists and Hollywood shine, making it a great read for the beach or pool. This cuticle oil is just what your nails need to protect them from chlorine-filled days. Sip your Frappuccino (see below) and other favorite Summer drinks through these cute straws. 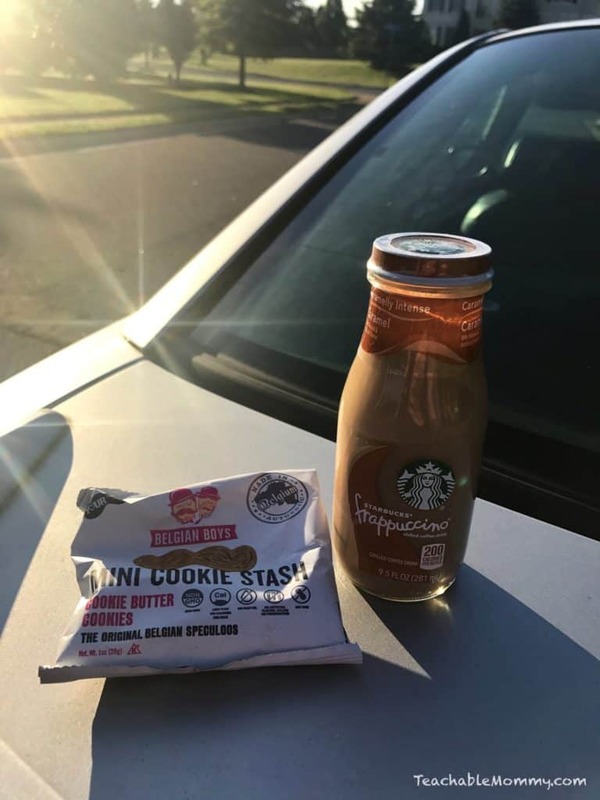 I don’t road trip without my favorite Frappuccino and some tasty snacks! This girl runs on caffeine. I love coffee. Enough said. Not only are these tasty and a fun photo prop, but they are non-gmo, nut free, and made without artificial colors, flavors, or preservatives. 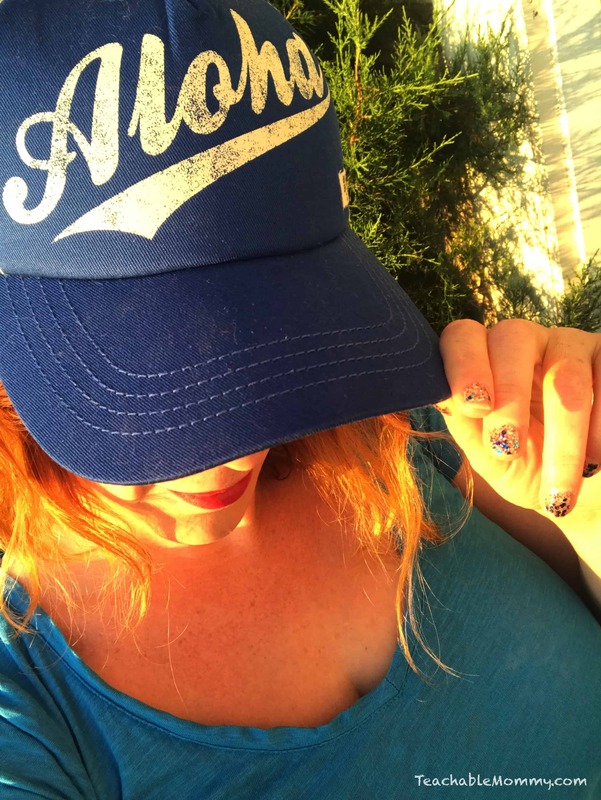 This redhead needs to keep her eyes and head protected from the sun. But that doesn’t mean I can’t look good while doing it! Get $5 off your FIRST Must Have Box using code “SHOP5” click here to order your own! POPSUGAR sent me this Must Have Box to try! Previous Post: « Instant Glam with GrandeLIPS! Okay, I love everything about this box! I really want to read that book, and the Aloha pouch is adorable. It makes me feel like I’m on vacation just looking at it! What an awesome box. I am all about my Starbucks for sure. I call shotgun Mickey is waiting for us. Wow! That’s truly a lot of things in that box. I think that hat is cute and would be a perfect visor for the beach. You’re so well prepared! I love it. The sea salt hairspray sounds amazing. That is an awesome looking box. I don’t get too excited about subscription boxes but I am loving the looks of this one. Oh my goodness! I want that Aloha hat. It is perfect to get into the summer mood. It looks like the box came with some awesome items. This box looks so fun! Great book choice! This looks like such a great box! I love subscription boxes anyway, but sometimes the products aren’t that great. I would definitely sign up to this one having seen the contents!! I am digging EVERYTHING in this box! I love the belgian boys cookies. This box looks awesome! I will have to check it out.